Since the inception of our company, we are engaged in providing a comprehensive array of Polypropylene Tape. Thickness: 0.5 mm to 3.0 mm. Strength: Upto 1000 kgs load. It is used for binding of power and telecom cables. It is light weight (Densit: 0.55) so it is good enough to substitute polyester tapes or polyvinylchloride films. It has very high tensile strength. We specialize in supplying premium quality petrock polypropylene tapes. VBW produce variety of PP Tapes in various colors, and dimensions. Besides, we also serve Tapes in unique colors and shapes. These Tapes and Belts are available in the range up to 400 to 800 denier. Used for making leno fabric. 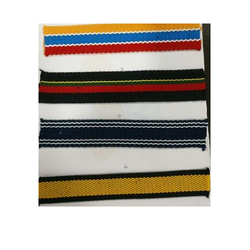 We are into manufacturing of polypropylene tapes which are also known as webbing straps. These polypropylene tapes are available in sizes from 5 mm onwards. The product is mainly targeted towards the bag manufacturing industries & safety equipment manufacturing industries. The biaxially oriented polypropylene tapes are used for the sealing of carton boxes that are used for stationary purposes. The tape is rubber based which makes it suitable for cold temperature packing purposes. Tested on various parameters of temperature, compression and shock resistance and can also be customized as per the specifications detailed by client. 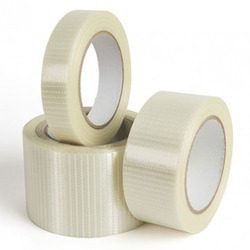 We are known to be among the prominent supplier of PP Liner Tape in India.